Get your 3DO repaired at eStarland. From our expertise in gaming console repairs since 1991, we understand your needs and the care you deserve during the entire process of our repairs. All 3DO repairs come with 90 day Warranty on Parts and Workmanship. Dangerously Low Prices! Compare and Save a lot on 3DO Screen Repairs. Average time required: 30 min. 3DO repairs will be completed and shipped within 24 hours of receipt. 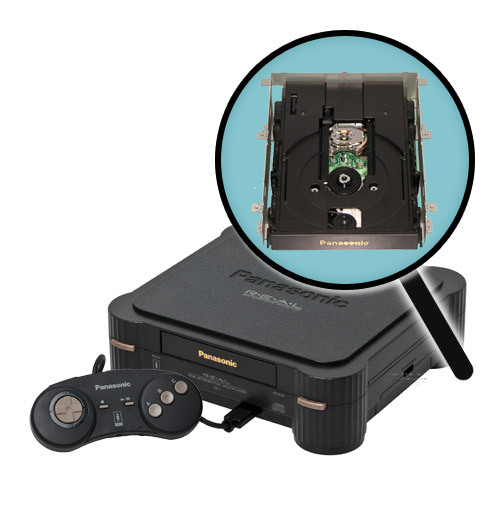 After purchasing 3DO Disc Drive replacement service, send your system with your order number, name and phone number. 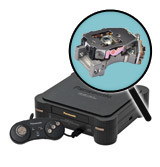 Click here for tips on how to pack and ship your 3DO unit for repair. Would you like to receive a free estimate on any other repair in gaming, mobile phones, tablets and even on other electronics? While our trained repair technician will diagnose and repair your device to meet manufacturer's performance standards, we strive to exceed your expectations in handling the entire process to ensure your total satisfaction. Note: Additional time may be required on holidays, weekends and / or unforeseen circumstances. Customers will be notified immediately of any change in scheduled completion date. If possible, back up your data prior to sending in. We will make every attempts to keep your data intact but we are not responsible for any data loss during the repair. If you have any concerns, or if you require a repair service that is not offered on our website. Please contact us.